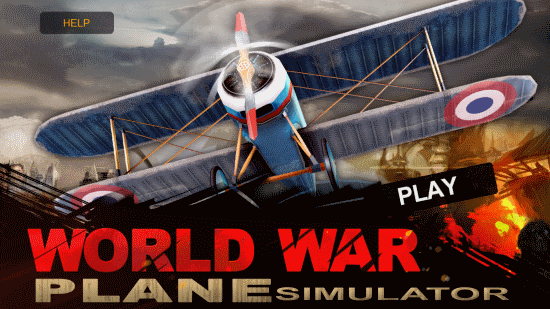 World War Plane Simulator is a free plane simulator game for Windows 8 and 8.1 computers. 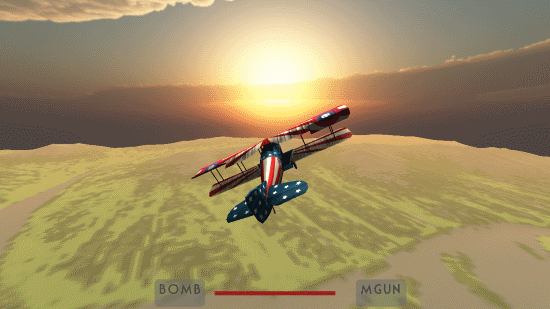 Developed by Hungry Pixels this plane simulator gives you fly a vintage plane in war scenario. Its everyone’s dream to fly a fighter plane. Most of us are not successful, so this simulator game for Windows 8 lets you fly one, right in your own room. Painted in colors of American Flag, the plane is a symbol of patriotism. You don’t get to just fly the plane, you get to take on enemies as well. Your targets are hot air balloons, which are firing at you. Locate your enemy Hot Air Balloons, and take them down. 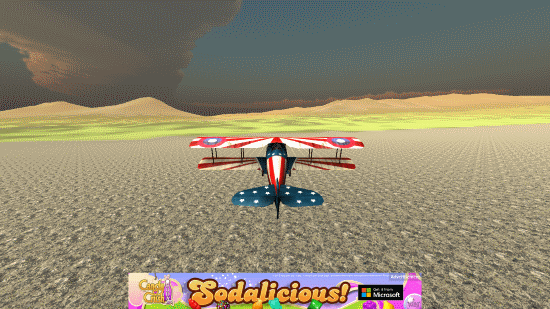 Take control of the fighter plane, and demonstrate your flying skills. With a size of 29.4 MB, this simulator game for Windows 8 hardly occupies any space on your computer. To install this game, go to the Windows 8 App Store, and search for this game in the search box. You may also follow the download link at the end of this article. Click on the Install button to automatically download and install this simulator game for Windows 8. This is a realistic simulator game for Windows 8. This game begins with a vintage plane landed in an airfield, ready for takeoff. Hit the Shift key to start the plane for takeoff. Use the WASD keys for navigation. S key propels the plane upward, while the W key brings down the plane. Use the A and D keys to turn left and right respectively. Use the Q key to perform a left sided flip. Take off and try to control the plane. Practice enough to track the Hot Air balloons. There are 4-5 Hot Air Balloons located at high altitude. If you get close to them, they will start shooting at you. Air just right at the balloons, and shoot at them to take them down. The shooting keys are available on the screen. You can either use Bombs, or Machine gun to shoot and destroy you enemy in this simulator game for Windows 8. There are two different views that you can play this game in. Press C key to toggle between normal, and first person view. Keep flying till you shoot down all your enemies. There is no time restriction, or scoring system in this simulator game for Windows 8. 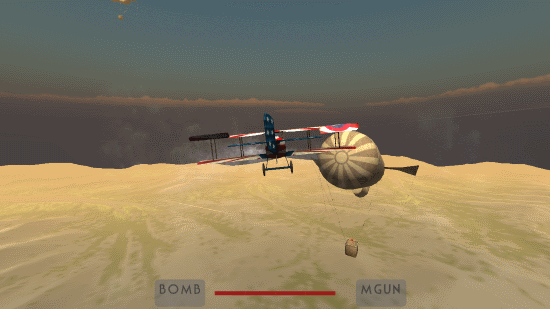 This simulator game for Windows 8 gives you ultimate experience of flying a fighter plane from World War era. The graphic is extremely realistic, so is the sound effect. For such small size, this game is a real catch. 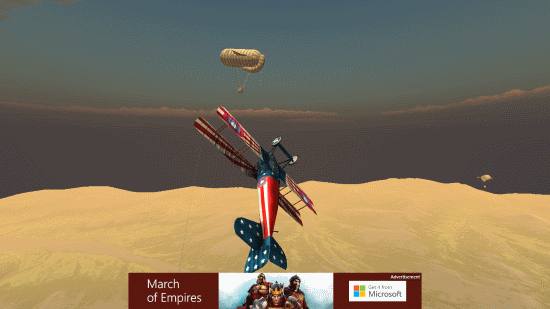 Download World War Plane Simulator for Windows 8 and 8.1 computer today.